Stefano Guzzini's study offers an understanding of the evolution of the realist tradition within International Relations and International Political Economy. It sees the realist tradition not as a school of thought with a static set of fixed principles, but as a repeatedly failed attempt to turn the rules of European diplomacy into the laws of a US social science. 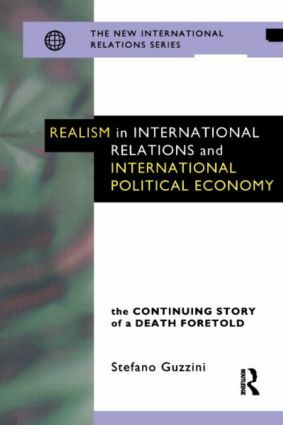 Realism in International Relations and International Political Economy concentrates on the evolution of a leading school of thought, its critiques and its institutional environment. As such it will provide an invaluable basis to anyone studying international relations theory.